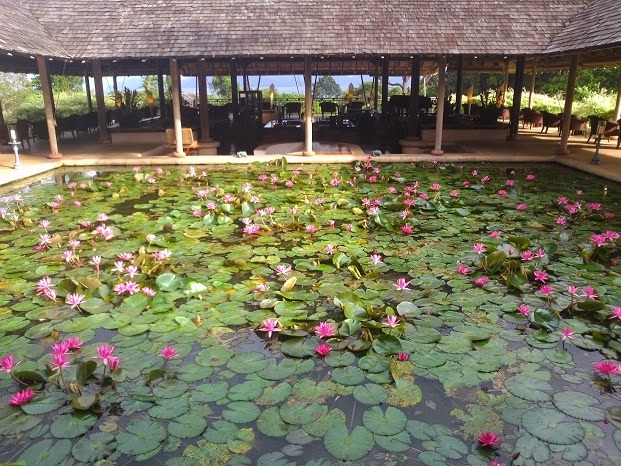 We had such high expectations before arrival, as we had heard so much about this beautiful resort, even though it is nudging 21 years since it opened. The resort’s all white BMW awaits and on time, enroute, from the padi fields approaching to the tropical rain forest with the talkative driver endlessly feeding us with the resort’s information allowed us to have even more anticipation. We wondered where the beach would be as the scenic drive continue passing through The Els Golf Club (previously the Datai Golf Club) designed by Ernie Els to the waterfall along the main road leading to the resort. Our worries was unnecessary as we know the secret of beauty will be revealed very soon. Our check-in was seamless and a welcome drinks menu helped us to get into the resort mood, so a glass of French champagne was in order. While soaking up the first impressions, a pair of majestic life-size wooden horses guarding the lobby entrance; a beautiful reflecting pool full of water lilies; rainforest views within touching distance; the resorts largest swimming pool that has the superb views overlooking the rainforest and to the nearby Thai island only 1.5 across the water. Yes! They tell you that the rainforest is over 10 million years old and at the beginning, you may want to hold on to your je ne sais quoi thought. After closer inspection day by day, you realize that this rainforest is a gem and such an integral part of the resort experience. Perhaps, you may want to ask yourself where else can you find a luxury experience that has a private beach as well as an ancient rainforest with the accompanying flora and fauna. 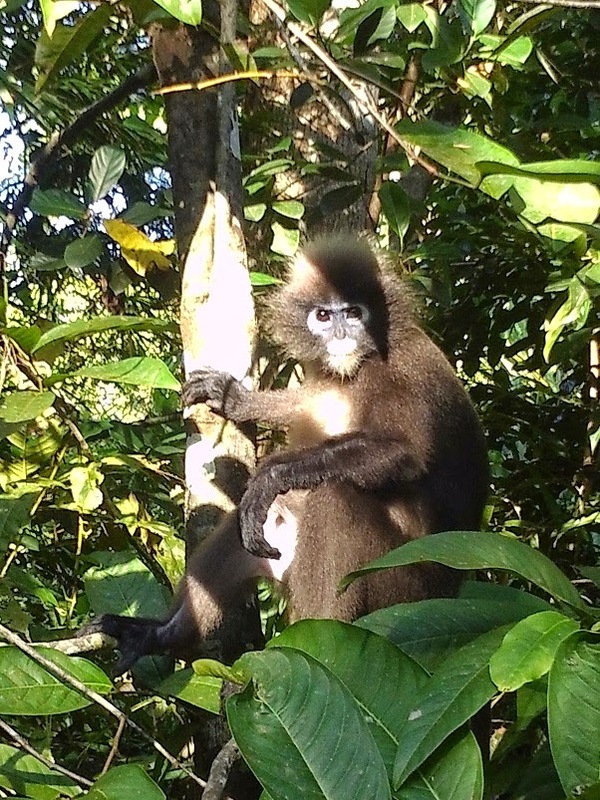 Every day you get to see dusky leaf monkeys, macaque monkeys, horn bills, eagles, iguanas and various other wildlife as you walk to and from your room and the restaurants. Mind you for not leaving your windows or doors open for uninvited guests (The Macaque) to go through your mini bar while you are away from the room. Even so, this one of a kind extraordinary experience is all under one roof without leaving the boundaries of the resort. 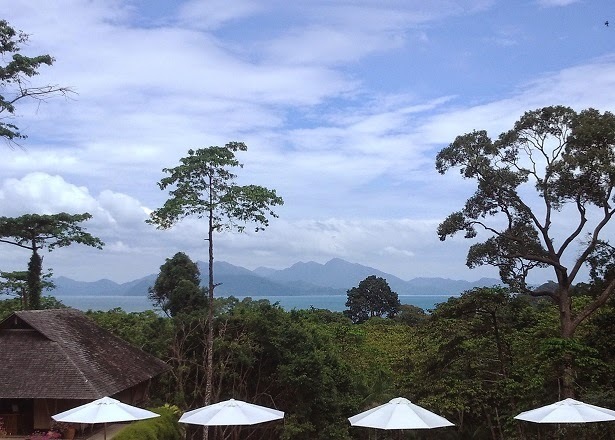 Being of one of the members of The Leading Hotels of the world, The Datai Langkawi Resort has it all. 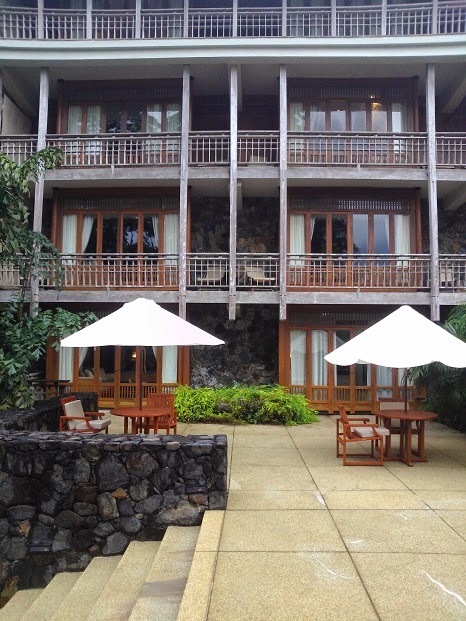 We were privileged to enjoy checking into two different villa during our stay. 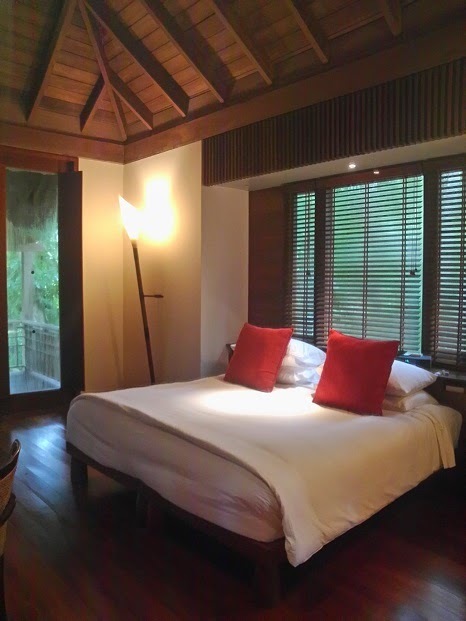 The first night we stayed at the 93sqm rainforest experience superior villa which is incredibly spacious and elevated (we had one of the highest level villas closest to the lobby), suffice it to say. 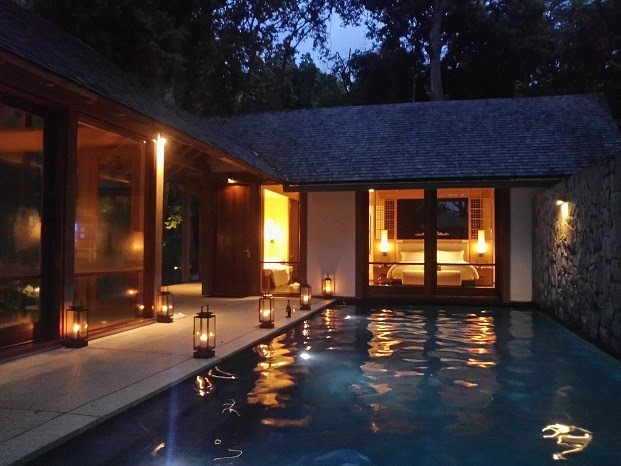 It has a deck overlooking the rainforest that was surrounding us, the superior villa enchant with a rustic charm, set along a rainforest, some of them lure with the soothing sound of flowing water and evening frog serenades. It is just so beautiful to be at one with nature. 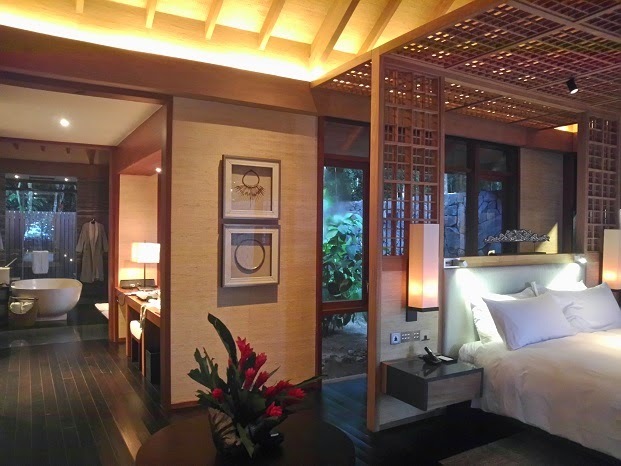 The next morning, the luxe level went higher, we moved to the beach villa and that become the highlight of our stay.The 218 sqm beach villa separated into two major pavilions connected by an outside walkway is the newest addition to the resort. The villa could be right out of the pages of one of those luxe design magazines as the modern contemporary design makes a major contrast to the rainforest.The bedroom was superb and well placed by overlooking the villa pool, with sliding doors in front of the bed that allowed you to step straight into the pool. 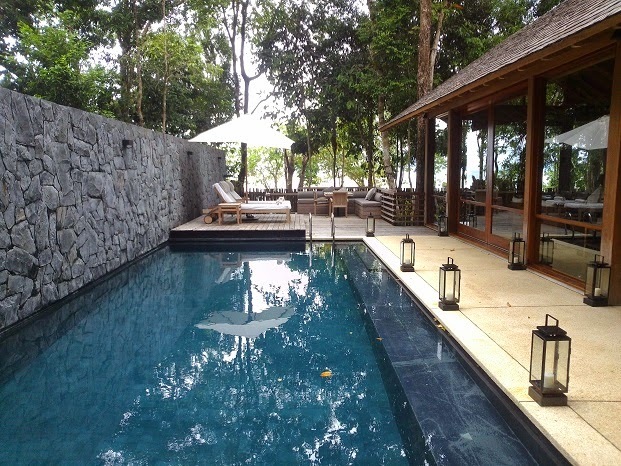 The 10 meter length long private villa pool and the view looking out from the bedroom to the Andaman sea is rather something everyone who loves to have especially in a luxury resort like this. The bathroom is another area you may like to spend a little more time at. The separated his and her dressing room and bathroom come with beautiful finishes, high quality tap wares are used and multiple indoors and outdoors open space showers as well as a giant white bath tub which is placed in the middle of this spacious contemporary designed bathroom that create much pleasure for your very own “Me Time. Wall glass brings in sufficient natural lights during the day with high walls built surrounding the beach villa with great privacy assured. 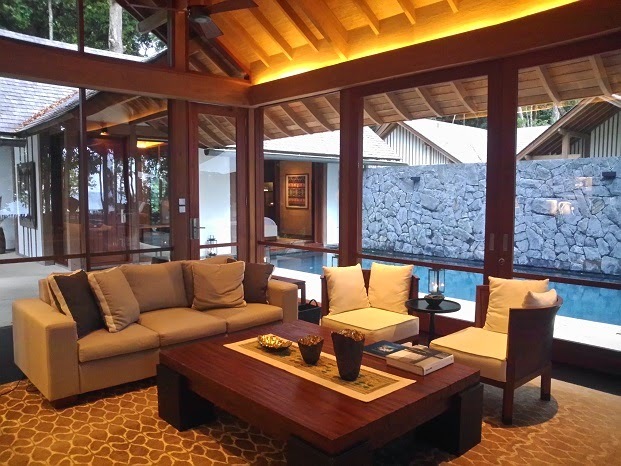 The living area is another delight, with high raked timber ceiling and a layout that makes you focus on the pool and the surrounding rainforest through the use of multiple glass walls to bring the natural light and lush outdoor garden view inside. It is warm and homey with modern design amenities, comes a master control switch powering all sounds and lights. A built-in designed wine fridge is fully stocked with international selection of wine for your consumption. Indeed, much thought are given into consideration. 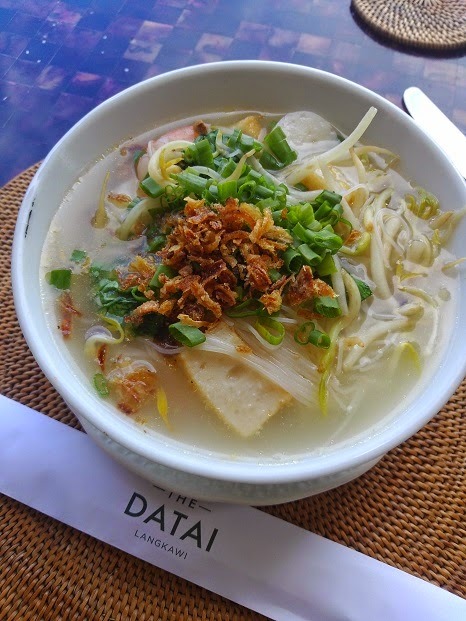 We spent our last night to treat ourselves by dining in our pool villa and enjoying the amenities of our ‘private house’, so our butler arranged for a menu selected by us from the Thai restaurant to be delivered at a time of our choosing. 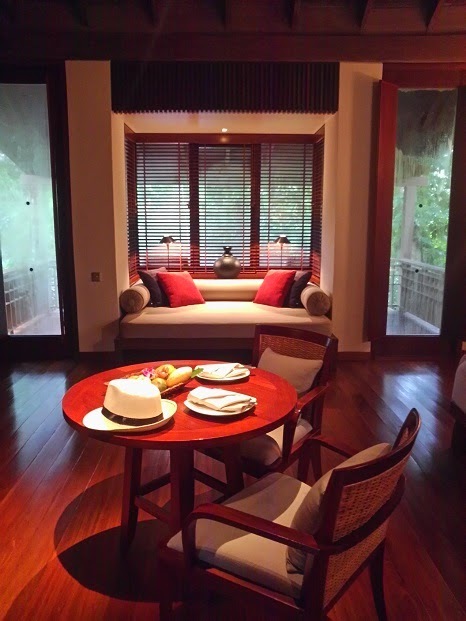 Our butler arrived with a team to set up and it was just as superb as actually dining at The Pavilion, plus we could relax in between courses and set our own pace for the evening without interruption – a great option to experience when you book this villa. The main upper swimming pool is for adults only and is large enough to never feel crowded. It has the perfect location for the panoramic view into the surrounding rainforest on all sides and is directly below the main lobby area. There was not one day when we vied for the sun lounges at any one time, a lot of guests favoured the second swimming pool adjacent to the Beach Club and the resort’s private beach. This perspective also gives you a superb view of the main accommodation wings which are quite majestic in their architectural elements without being too imposing, not to mention the stunning mountain peaks behind to add depth to the surrounding experience. Breakfast is served at The Dining Room (open as well for evening fine dining) was also a highlight each day below the lobby lounge, with all sides opening onto outdoor terraces space out to the large upper pool, we suggest to reserve the tables by the pool to enjoy the phenomenal panoramic view of the Andaman sea. Roti Jala is a must try, it looks like a spider web or a fishing net when it is on the buffet since the menu changes daily. With accompanying chicken curry which is very delicate and delicious in flavor. There are homemade jams, a great variety of Asian dishes, European style breads, a nice selection of cheeses and a French sparkling for those of you that fancy a glamorous touch to start your day.The fresh detox fruit juices are superb too and it is difficult not to over-indulge with such a spread! There are many activities to partake in and as a start, one of the most interesting ones is a rainforest walk starting from the lobby, hosted by a local guide. In the space of 90 minutes, we saw two different types of monkeys, hornbills, 6 other varieties of birds,The Helang (eagles), amazing flora and fauna and all within 100 metres of the lobby! This is a complimentary activity for every guest to get acquainted with what lies in the surrounds of the resort and almost at your finger tips. There are other activities that take you further out from the main buildings. The beach is quite beautiful and private and has some other activities to try, plus you can charter the resort schooner for the day and visit the nearby Thai islands just a hop, skip and a jump from the beach. The service is truly 5 stars, with staff really getting to know you and never failing to address you by your name and wanting to go out of their way to assist and pamper you. They take their time to chat and make you feel at home, while also trying to find out what else they can do to make your stay even more memorable. We strongly believe that all good team work lead by a good leader to make things work is the key - a well standard of hospitality adhere to meet the stated requirement.Thus, the newly on board General Manager, Arnaud Girodon has certainly implemented some great new ideas to maintain a heightened level of hospitality and keeps the resort’s DNA that is the signature since the opening. Words simply aren’t enough to describe the extraordinary experience we had, but luxury, fabulous service and tranquility would be where we start. To conclude, an unrivalled resort that sets a new bench mark for us in luxury experiences and a location that cannot be easily matched anywhere else in the world with such accessibility, yet in a very private location. 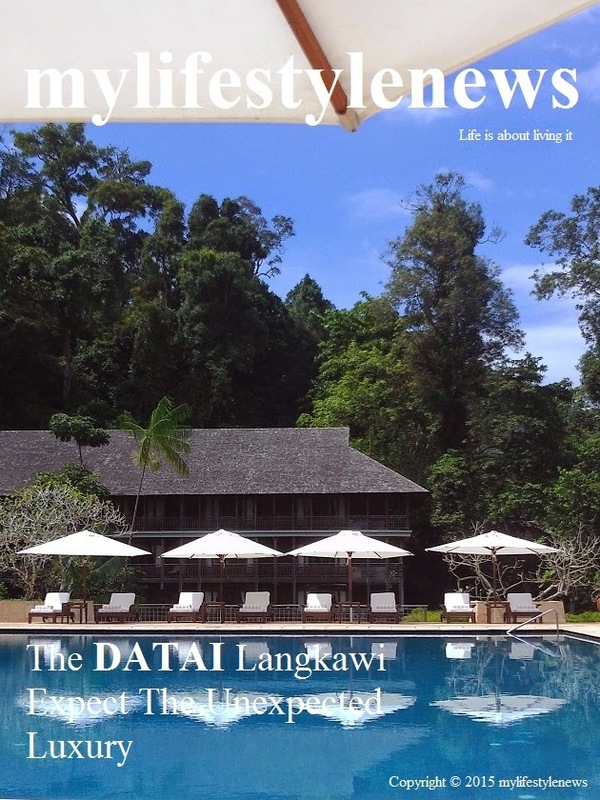 The Datai Langkawi is the kind of resort everyone must experience at least once in your life – but then you will have want to return, again and again!